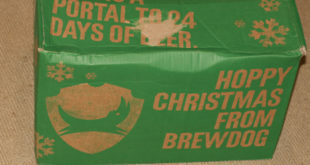 Been considering Mikkeller Beer Mail or exclusive Beer Club? Click here to get 50% off your first box! 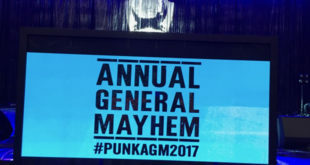 If you think beer festivals are just old men in flat caps drinking bitter in local church halls, you’re as wrong as I was before The Independent Manchester Beer Convention last year. 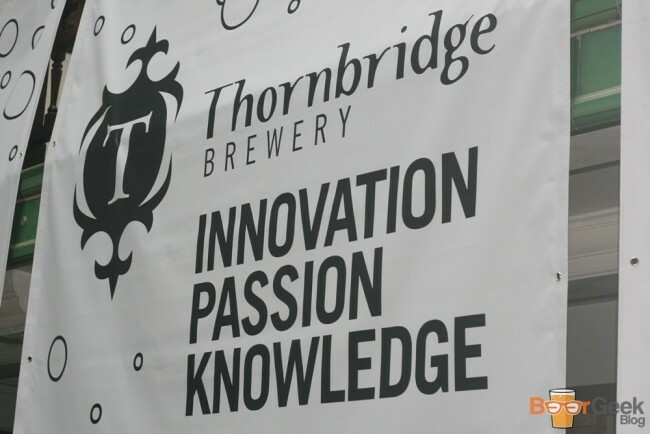 After attending three sessions my mind was well and truly blown and all future beer festivals are ruined forever. 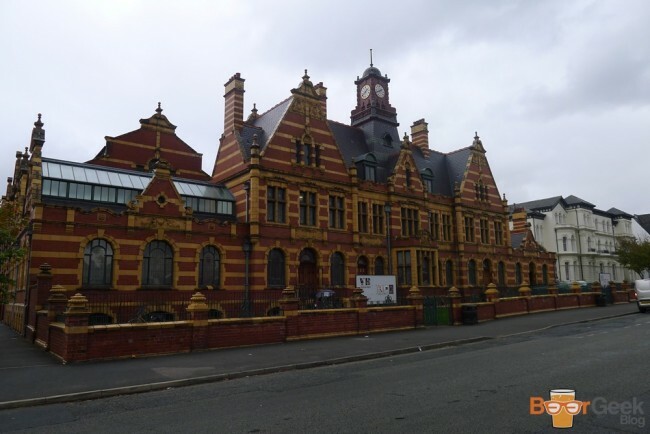 The first amazing thing about Indy Man Beer Con (as it’s more commonly known) is its location; 110 year old former swimming pool Victoria Baths. 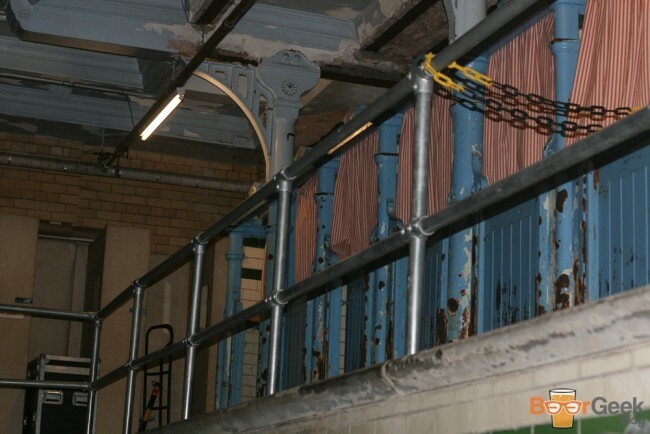 The stunning Grade II listed building is as unique a setting as you could imagine for any event, let alone a beer festival. Once inside it’s impossible not to admire the Edwardian architecture; mosaics, restored tiles and huge stained glass windows. 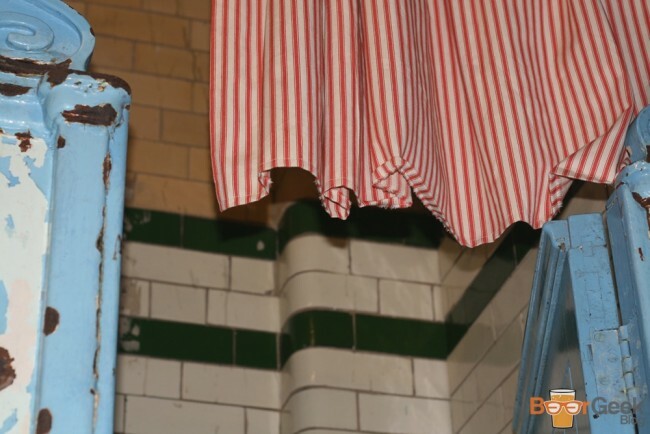 There are over 80 taps (a mixture of cask & keg) spread across five rooms, with three actual swimming pools being used to house bars and drinkers. 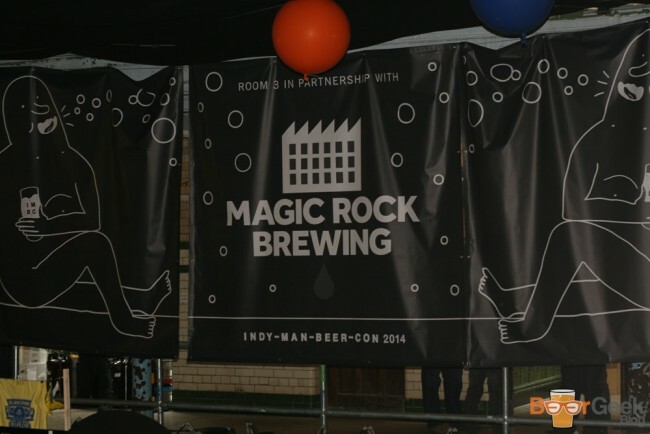 Most of the rooms were ‘in Partnership’ with top UK breweries including Summer Wine Brewery, Thornbridge and my favourite, Magic Rock. 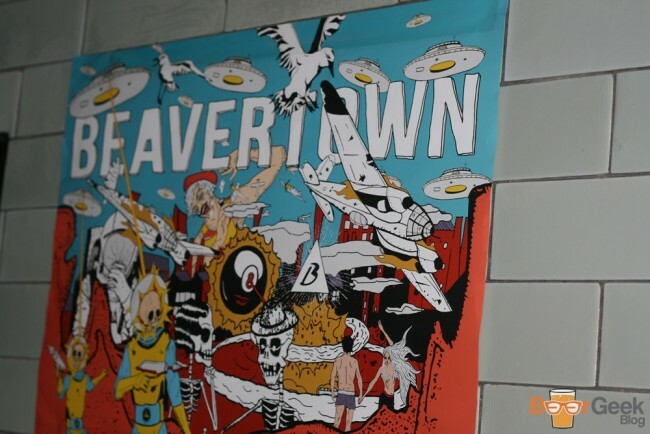 One of the UK’s most popular up and coming breweries Beavertown had taken over a small room formerly used as Turkish baths. Along with their signature brews Gamma Ray, Black Betty and Smog Rocket they brought a couple of specials including a Blackberry Gose and a Lemon Iced Tea Sour which were both excellent. 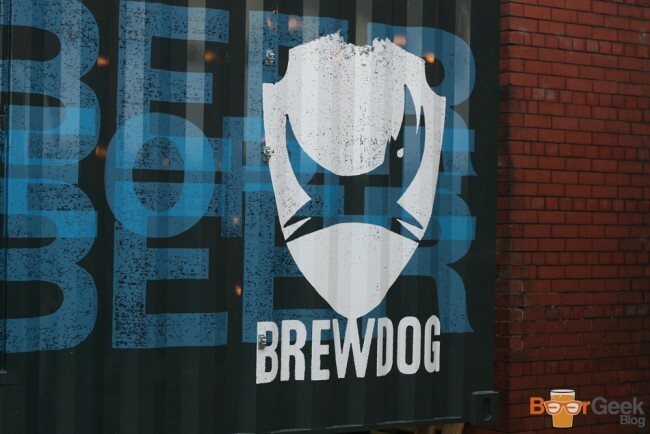 Another of the biggest names in craft beer BrewDog turned up in their portable bar ‘Truck Norris’ to feed their legions of loyal fans with the likes of Punk IPA and Dead Pony Club. 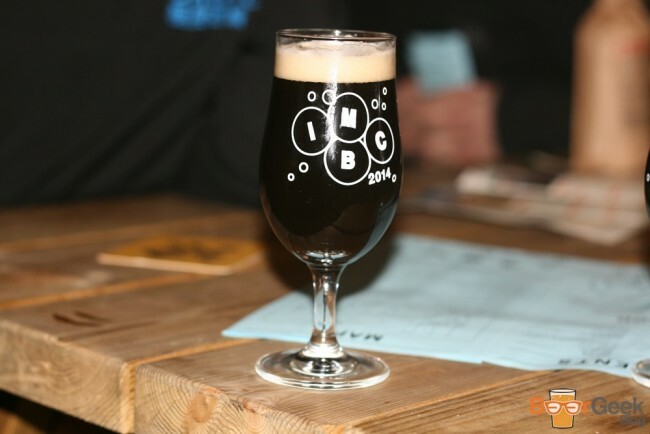 They also had a few specials up their sleeve though including a black IPA called CapDog and U-Boat, an impressive smoked stout. The standard of beer is incredibly high anyway but I think I also chose particularly well. Trying to stick to mostly interesting new beers and styles but with a few old favourites thrown in too. 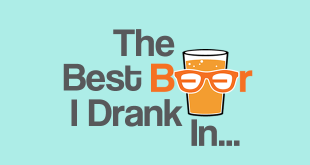 They were (almost) all great but after careful deliberation I’ve come up with a list of my favourites. 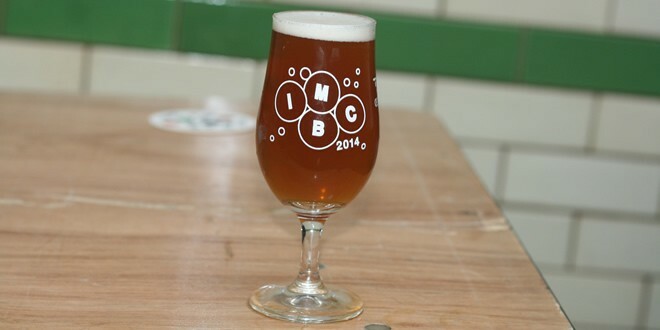 Before the festival I drank a lot of American style pale ales and IPAs and a few Black IPAs but rarely sour beers. However, I made an effort to try some at Indy Man and immediately developed a love for them; as you can see by the fact that three made my top ten. 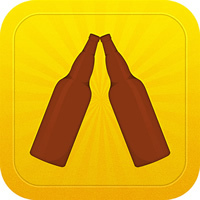 Of the 51 beers I had, there was only one that I hope to never drink again: First Chop Brewing Arm – Figs & Syrup. A horrible sweet, figgy, malty mess of a beer in my opinion. 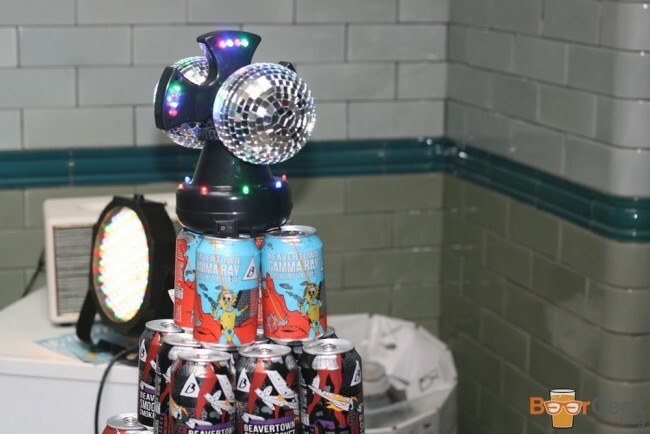 So the beer was out of this world but another thing that sets Indy Man Beer Con apart from other festivals is the food. You won’t find any boring Ploughman’s lunches or pickled eggs here. 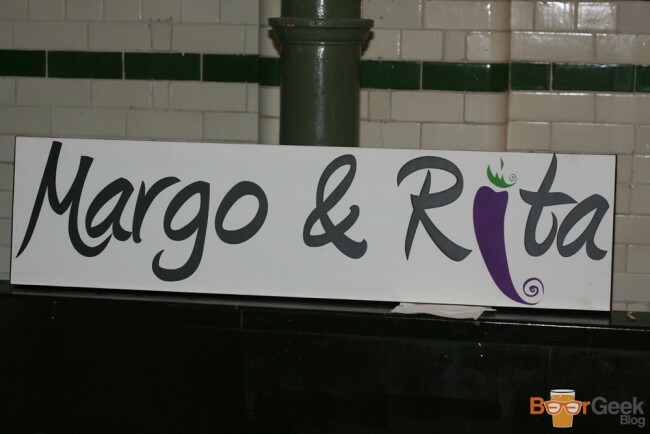 Instead a variety of quality food produce; from Indian and Mexican street food, pimped up hot dogs and burgers from Almost Famous to amazing bread and cheese from Chorlton deli Epicerie Ludo. 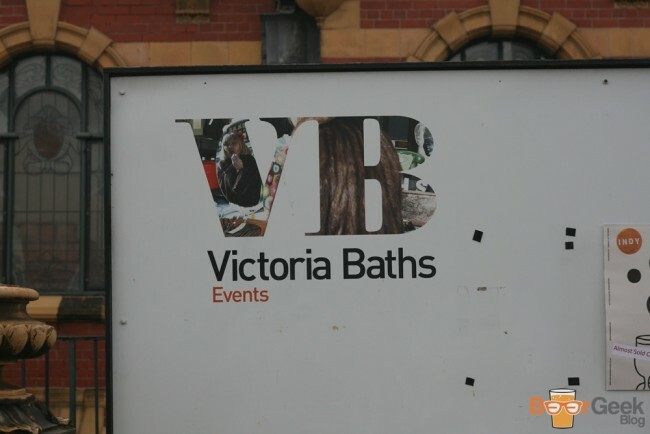 There was also a reservations only sit down meal held in one of Victoria Baths many ante-rooms. 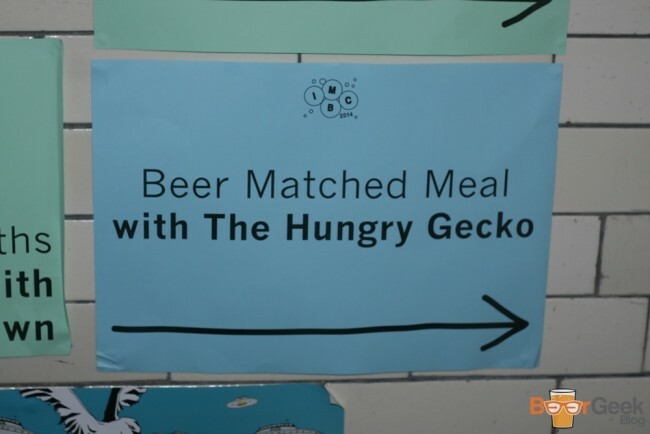 The beer matched meal was hosted by MasterChef semi-finalist Jackie Kearney (aka The Hungry Gecko). 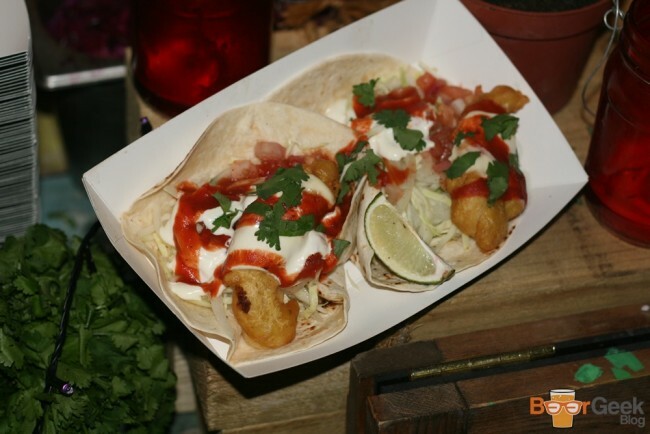 You can read a full review of that somewhat disappointing meal on my food blog. Not that a four course sit down meal was going to stop me eating from the great vendors on offer too. 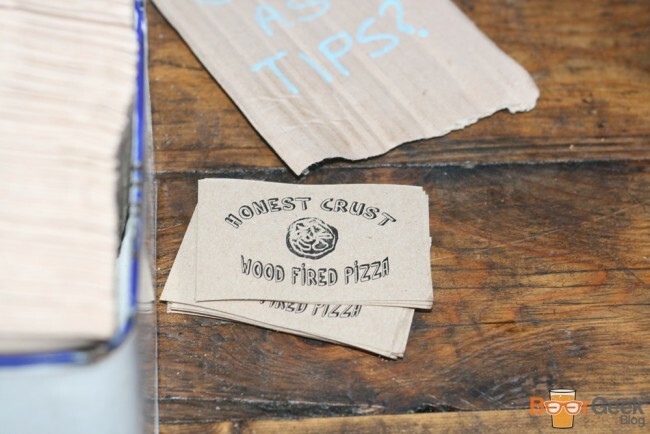 Particularly when Honest Crust are involved. In fact I ate their pizzas at two of the sessions and wanted to at the third but they rudely sold out early! 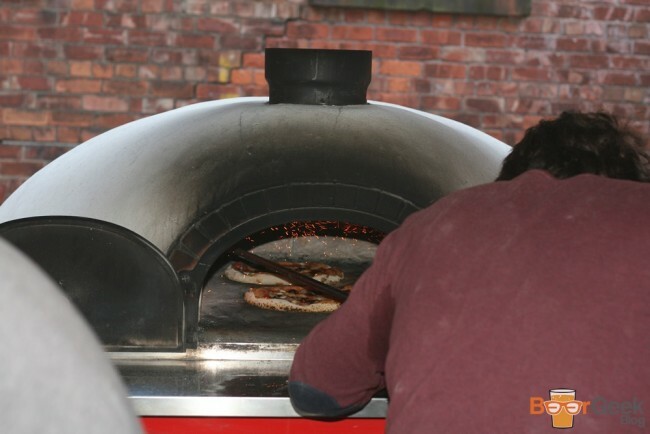 I’m a big fan of wood fire pizza in general and Honest Crust’s are about as good as they come; stunning sourdough bases, cooked perfectly every time and not piled with stupid toppings. 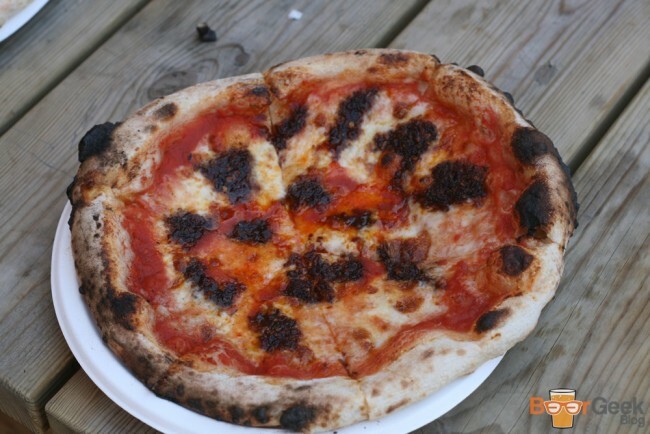 I’ve eaten their spicy nduja topped ‘Atomica’ many times and it never disappoints, Indy Man was no exception. 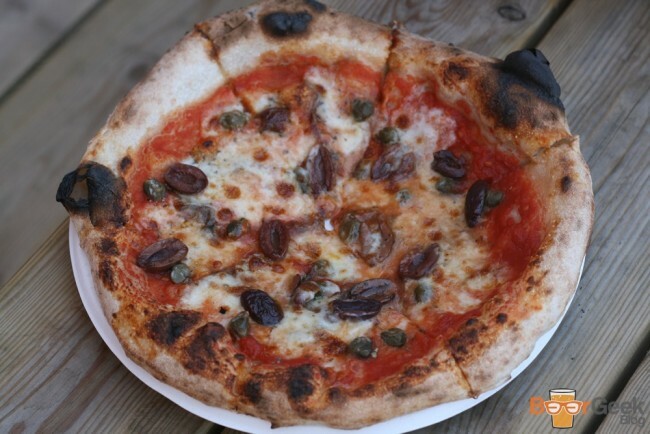 The anchovy and olive based ‘Neapolitan’ was also fantastic. I’d heard great things about Great North Pie Co but never eaten one of their pies before. Well I have now and I can see why they’re so well loved. 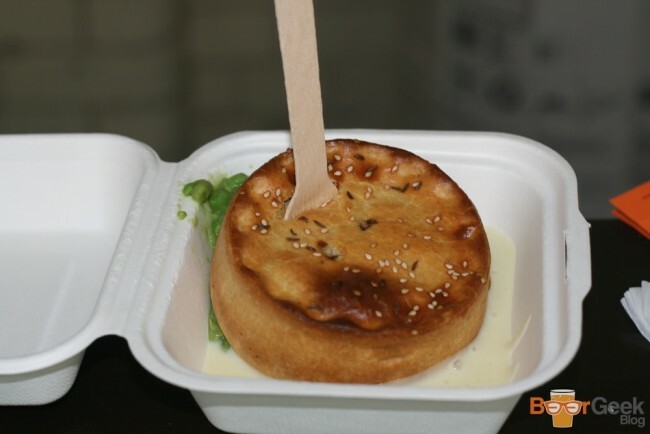 Really good quality pastry and tasty, substantial filling but it was the mashed potato gravy that I loved the most. There are few cuisines I enjoy more after several beers than Mexican food. 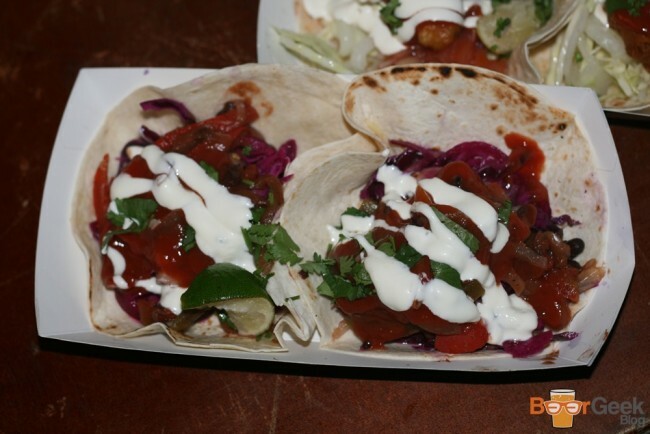 Margo & Rita’s tacos were just what I needed on Friday night at the end of a double session. 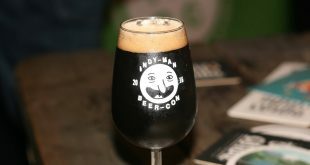 Besides the slightly underwhelming and fairly badly organised beer matched meal I had an amazing time at Indy Man. 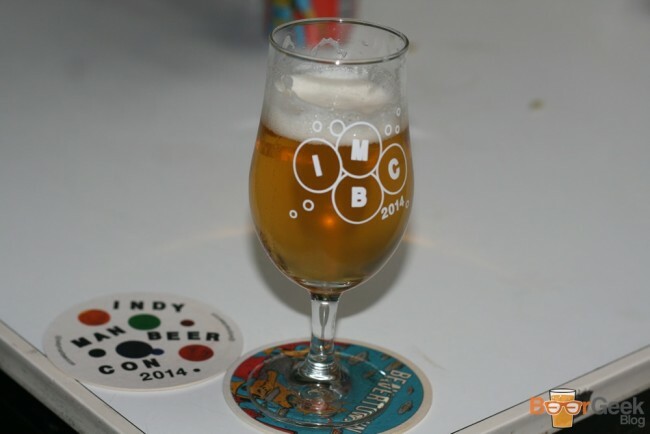 I’d go as far as saying it was my favourite weekend of 2014 and by far the best beer festival I’ve ever attended. 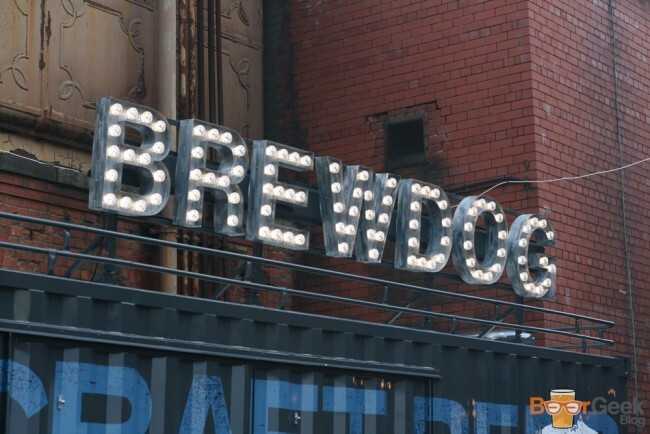 For me it was almost perfect; the range of beers available (styles and breweries), the sheer volume of beers, the ratio of keg to cask, the food and of course the venue. 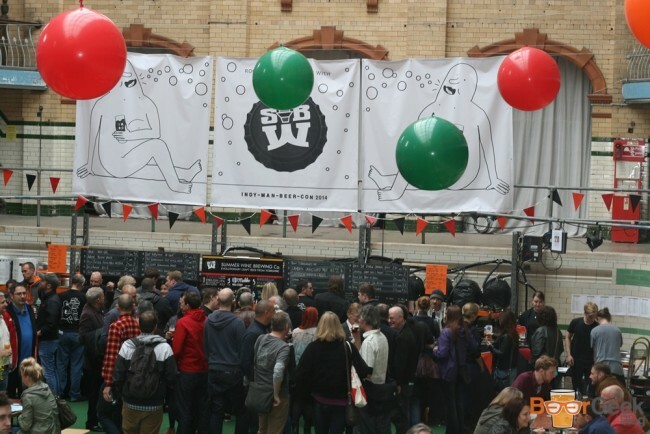 It’s certainly set the standard for other beer festivals and I can’t wait to return in 2015.